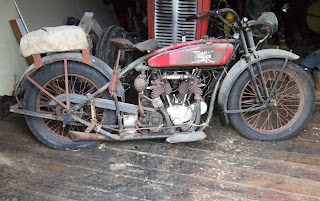 This cool bike have been in the same shed since 1947 till this winter. Amazing they are still out there in this condition waiting to be found?! !